This Viair Leader Hose is a top-of-the-line replacement for your worn out or broken compressor hose. 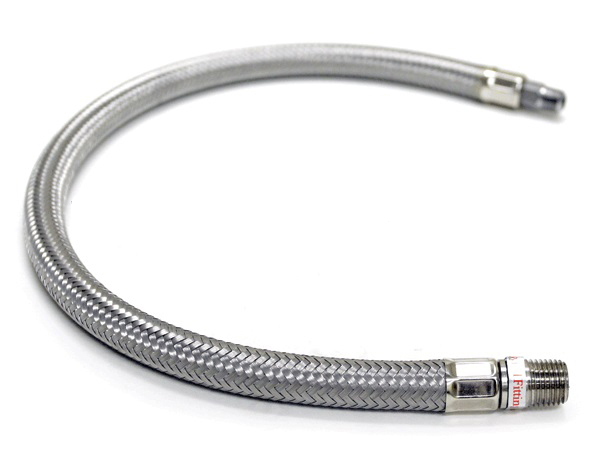 This leader hose is Teflon coated and stainless steel-braided for years of uninterrupted use. It features a built-in check valve that prevents air in your tank from bleeding back into the compressor and has 3/8 inch male thread on each end. The last thing you need is a broken air compressor hose, so if yours is worn out, dry-rotted, or leaking air, be sure to replace it with the best compressor hose available! You Save 25% by shopping with us!